Welcome to Bistones.com! 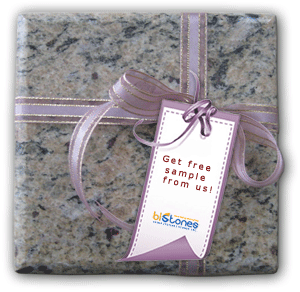 You can get a free sample(one piece only 10x10cm) from us, but you need to pay part of the mailing cost. In order for us to send your sample efficiently, please fill out your product name,recipient, full address, emil, telephone number, etc in the form below. Please write in English. Our working time : 8:30am-6:00pm (Chinese standard time - Beijing). * Recipient(first and last name): Please enter your recipient. example: 24F,East Block of Fortune Bldg. * Email: Please enter your email.Email format is incorrect.